Exclusive PGA Tour app for Windows 10 PC is now available. PGA Tour, the app serves up whatever you need to keep track of your favorite golfers, stats, standings and more. There’s even support for Cortana interactions and Windows Ink on board. 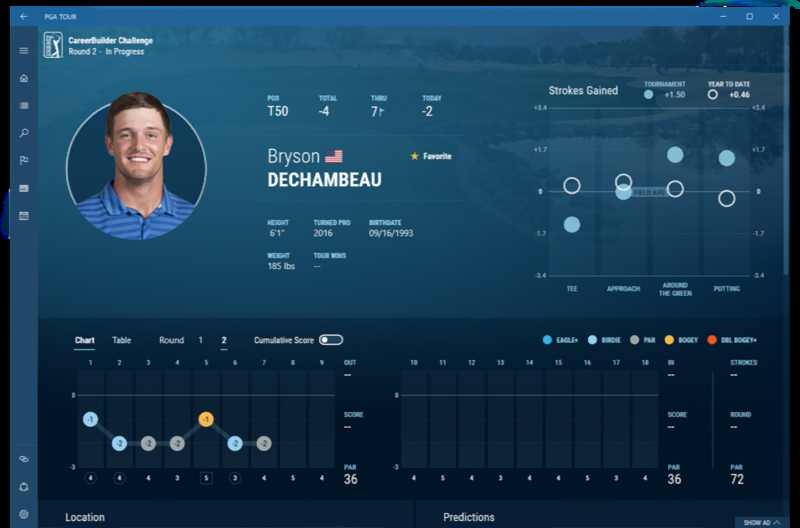 Exclusive to Windows 10, discover a redesigned, touch-enabled, fluid user interface with 3D shot trails and hole visualizations, with beautiful interactive presentations for player’s scores, statistics, and performances. Gain predictive insight with Microsoft machine learning, live leaderboards & standings delivered to your live tile, Cortana integration for voice-activated interactivity, and Windows Ink for on-screen telestration to share on your social networks. Keep up-to-date by personalizing your favorite players and follow them along the course — complete with video on demand, top event highlights, customizable notifications, play-by-play analysis, and PGA TOUR articles & social buzz. Data visuals for stats, scores and player performances, including a graphical display of strokes gained. Windows Ink for on-screen telestration with sharing via Twitter, Facebook, mail, messaging, etc. Live Tiles that deliver leaderboards and FedExCup standings to the Windows 10 Start Menu. Currently, the app is available for Windows 10 PC only. You can download the app from the link below.